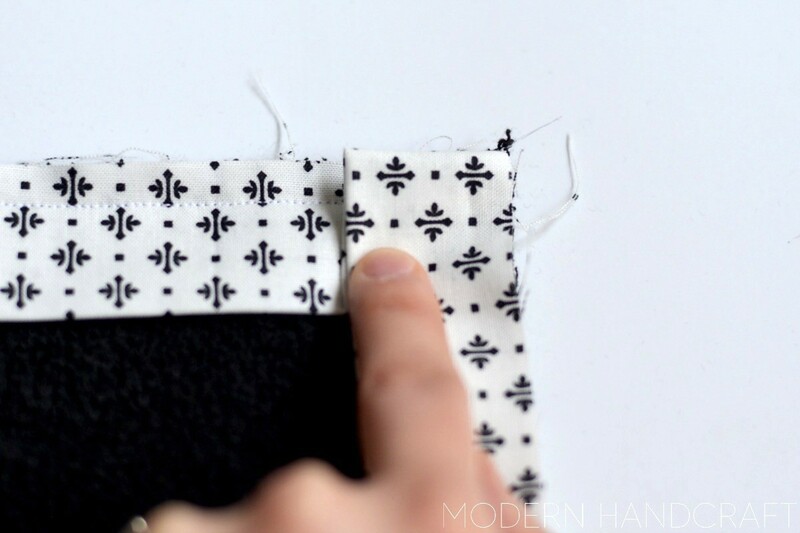 Hi friends, this project showcases how to do a machine sewn binding in a clean and effortless way. I bind all of my quilts in this manner, along with other projects like pillow covers, hot pads and placemats to name a few. 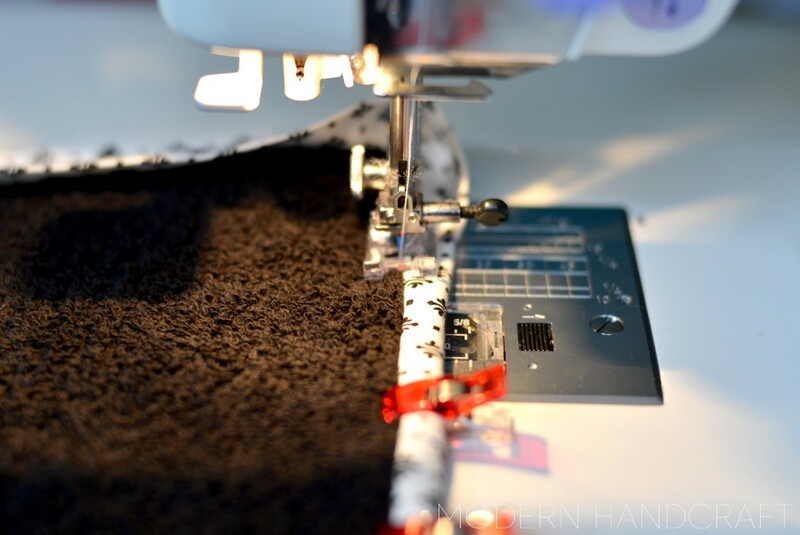 For today's project I wanted to share a fun way to make something very useful - Makeup proof washcloths, which are also a great way to practice this new skill. The reason that these are makeup proof washcloths is because I am using black washcloths. I only have white towels in my house which on one side can be lovely until I go to wash my face at night and if not done properly I end up with mascara remnants all over my towels. Having some handy Makeup Proof Washcloths around will save your towels and look cute in the process. Measure the perimeter of your washcloth, take this number and add 6 inches. 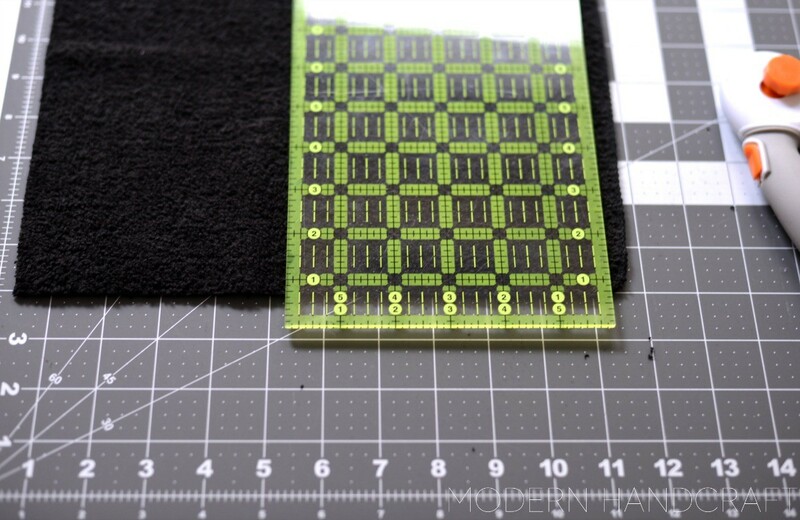 This will be the length of binding material you will need. 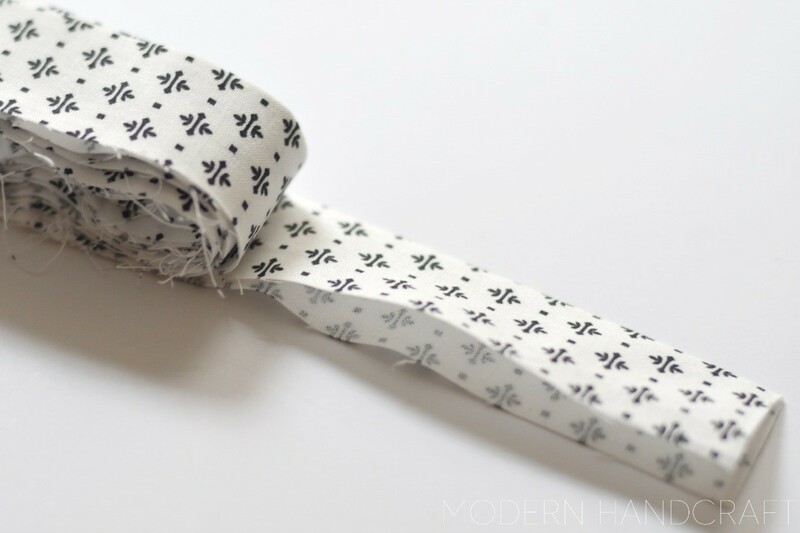 From your cotton fabric cut 2.5" strips. Connect each 2.5" strip end to end with a 1/4" seam allowance. At your iron, iron in half longways by folding in half wrong sides touching. This will be the binding for your washcloth. 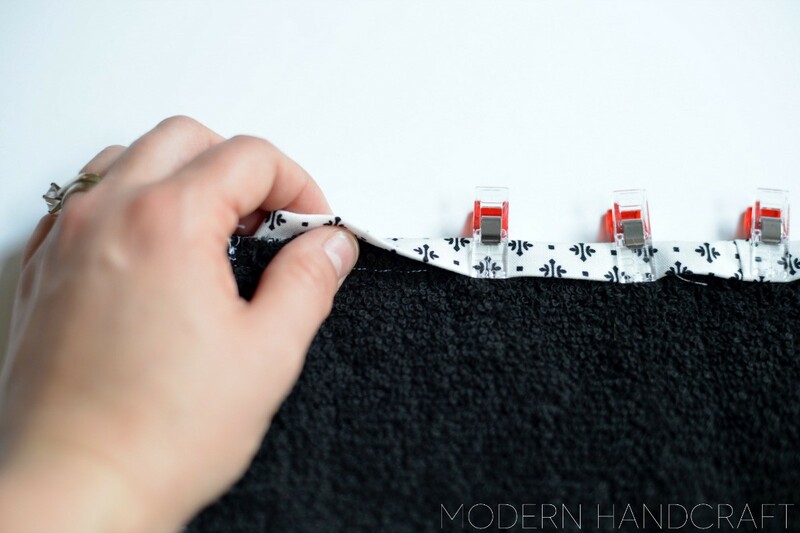 Square up your washcloth and create sharp corners by trimming up each side with your rotary cutter and ruler. 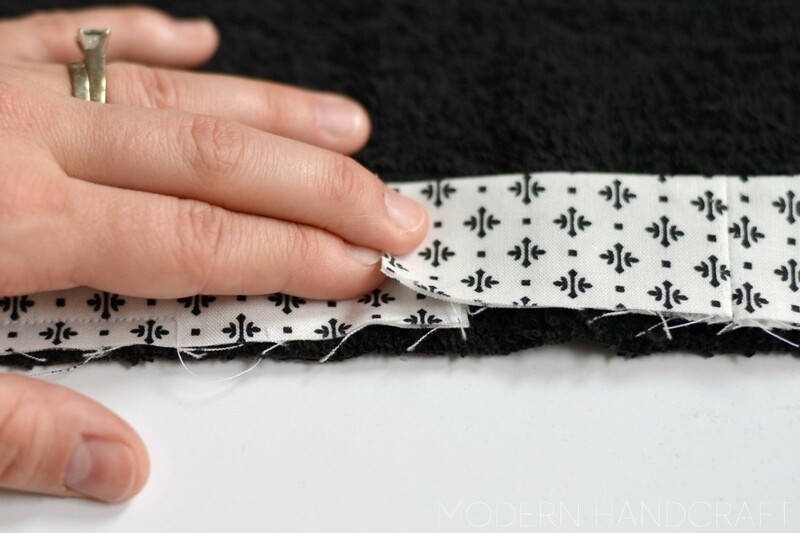 Start with any side of your washcloth, pin or clip your binding starting in the middle raw edges of binding to raw edges of washcloth. 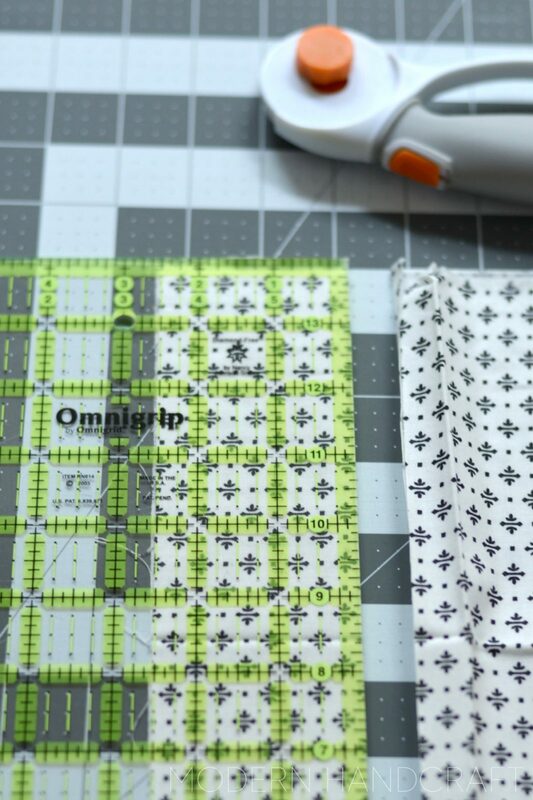 Only pin one side, begin sewing along the edge starting about 3" from the end of your binding. You will need some room for joining the ends later. Once you get to the end stop 1/4" from the end of your washcloth, angle and sew outwards to the point of your washcloth. 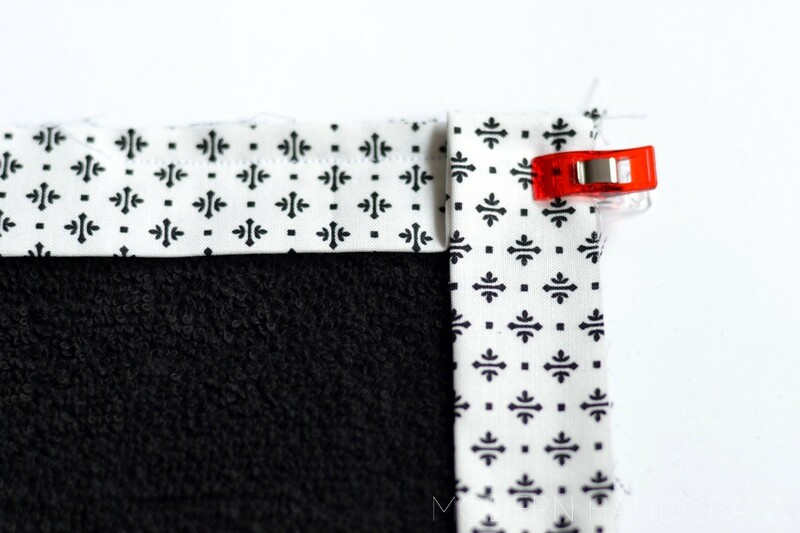 To create your corner you will now take the loose end of your binding and fold upwards like shown above. Hold in place. Now fold down, pin or clip in place to hold. You can continue by sewing along that side of the washcloth now. Repeat corner steps each time you come to a corner. Now that you have made it around the perimeter of the washcloth you will come to your starting point again. Lay your end piece over your starting end and measure 1/2", trim at that measurement. You should now have overlapping ends that measure 1/2". 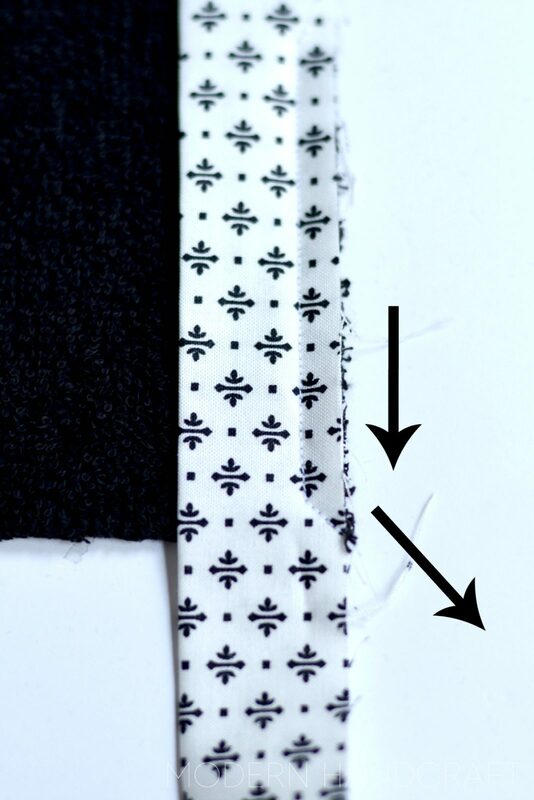 Take the ends of your binding and place right side together matching up your crease mark. Pin in place. Sew along the end using a 1/4" seam allowance. 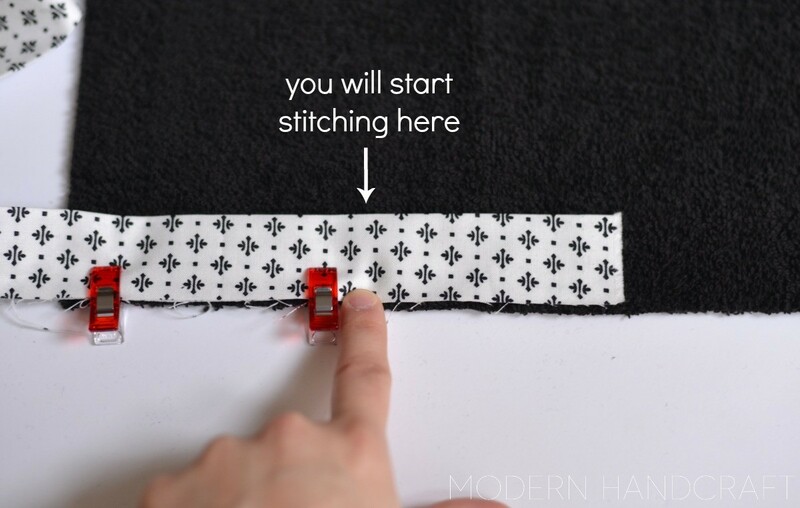 You will now have connecting ends, finish this binding step by sewing along your final side. Flip your washcloth over. You will now fold over your binding making sure to cover up the stitched line that is visible from your first binding step. Be sure to cover this well, it will ensure there will not be a sewing gap when we complete our binding steps. When you make it to your first corner, press down with your finger like shown. Continue by folding over your next sides edge like shown. Pin or clip in place to hold. 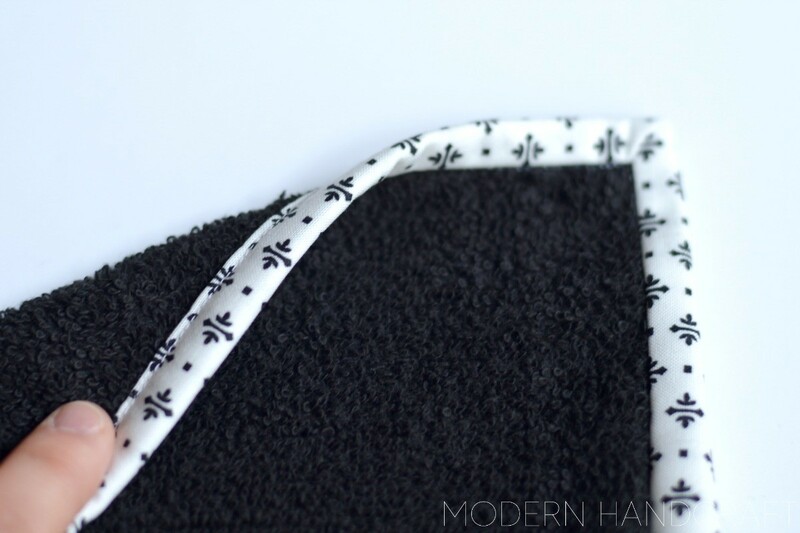 Once you have folded and pinned / clipped your binding into place you will now flip your washcloth back over. 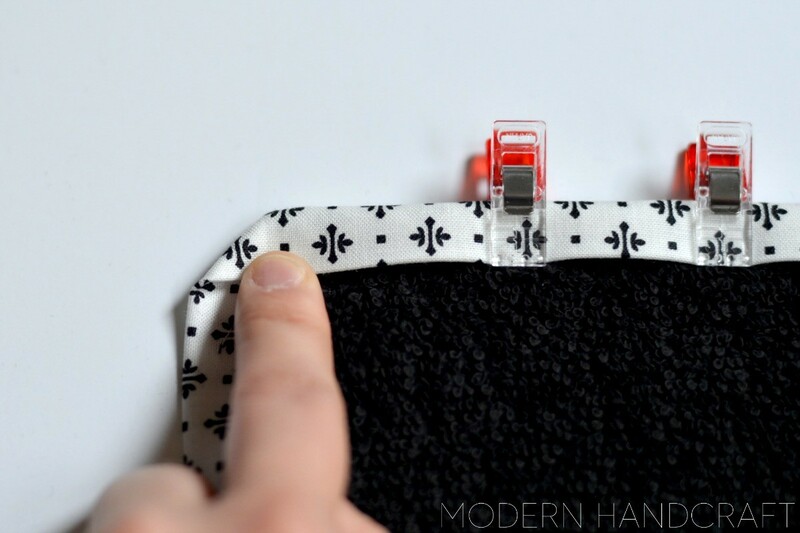 At your machine line up your needle to stitch just to the left of your binding edge. 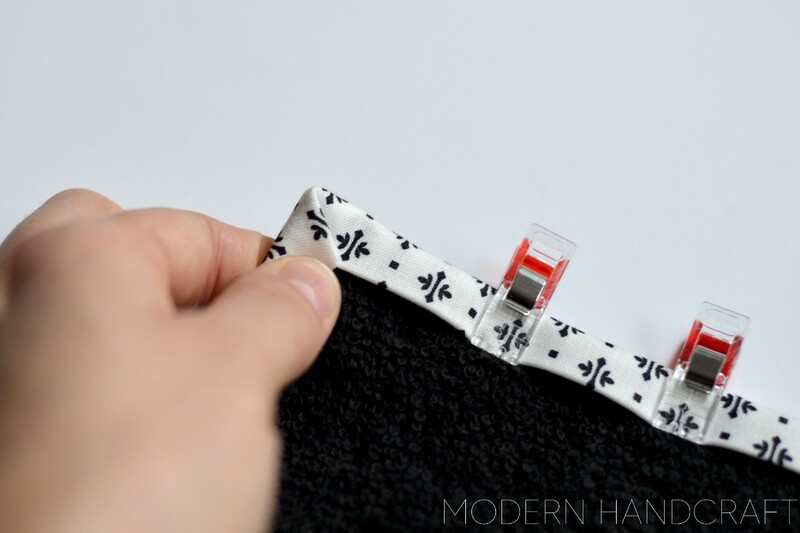 Stay along this edge removing clips if used as you make your way around the washcloth. 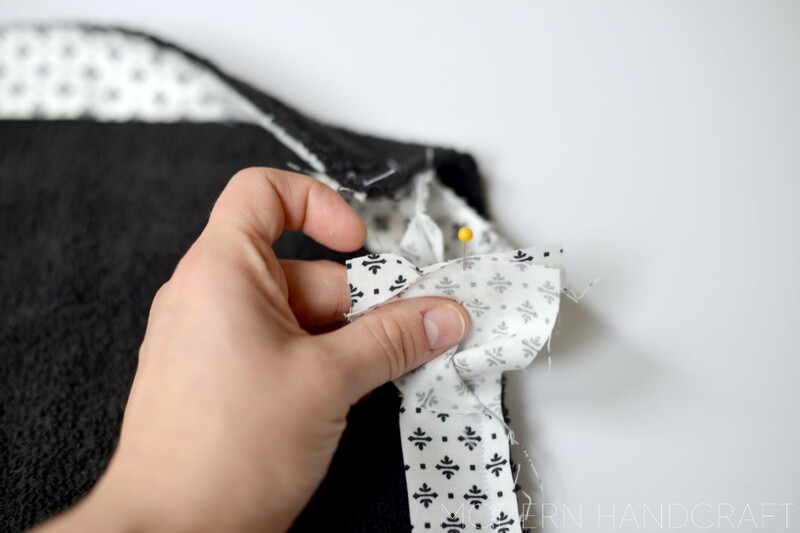 Keep your needle down as you pivot around the corners to ensure that you do not lose your stitching spot. 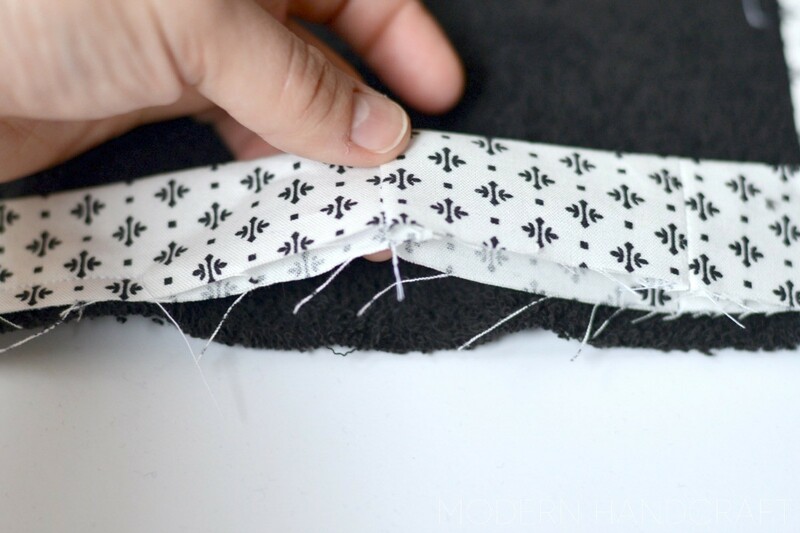 Stitching right along side your binding will ensure that your folded end on the other side is being stitched down. There you have it! A nice clean machine bound washcloth. This does take some practice, but working on a few of these washcloths will give you the practice you need before starting larger projects like quilts and pillows. 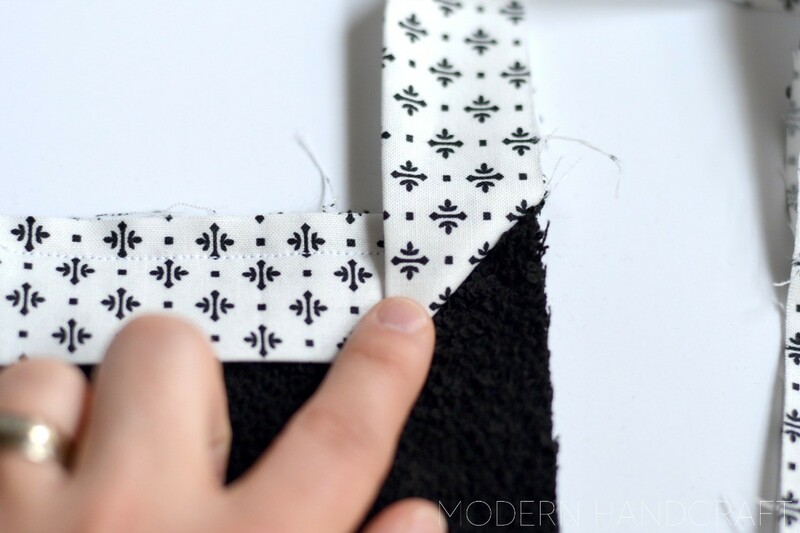 This is also a great way to use up scrap binding material that we all have after projects.